Top 5 October Attractions in Eureka Springs! Plan a Family ADVENTURE in Eureka Springs! 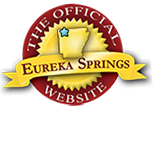 Every year people travel to Eureka Springs to celebrate Mardi Gras the Eureka way!